Special message from the Seraphim Angels about navigating the upcoming week! This week you are preparing to enter a new year in celebration. We are very excited for the opportunities available for each of you in 2012. There are many who are fearful of this year and use the negativity of the media to substantiate the possibility of the end of times. But this upcoming year promises to be a unique experience for all mankind. A window of opportunity is opening that will allow you to release the pain or limitations of the past and start fresh again. These new opportunities offer each of you a choice to make now. Are you ready to try something different? Are you ready to embrace more of the authentic you? The choice is essentially a simple one….will you be fearful of the future or will you choose to embrace a hope filled view for the future? In order to choose hope, you must look at each day as an opportunity for growth. Be grateful daily for the many blessings in your life. Don’t subscribe to negative beliefs about the world we live in that may be reflected in the world media. Choose to embrace change in your life and be flexible. You hear it said often, “Just go with the flow” but in this case it’s very true. Flowing with the moments of your life as they arise and accepting them as they manifest will free you to embrace much greater opportunities for creation of what you wish to have more of in 2012. Each of you is learning more about your divine nature and the power of creation that exists within you. In 2012, your own creation energies will amplify and expand. So be mindful of what energy you are putting into the world around. Negativity will only create more of itself. Your thoughts do indeed create your reality. So be mindful of your thoughts and what you focus on this year. Let go of stress and worry as much as possible. We know you cannot eliminate stress forever. You will always have experiences in life that can trigger anxiety, however you don’t have to cultivate that quality in your life. Instead acknowledge the stress as it occurs and release control in order to get out of the way of better possibilities. As you end an old era to begin a new, be conscious of what you wish to create this upcoming year and step mindfully into your tomorrows. 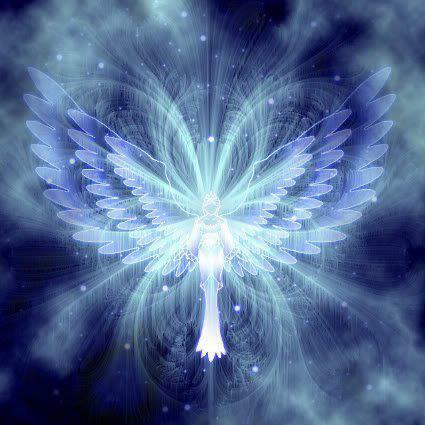 The time for awakening at all levels is here now and the angels are here to help you become more than you thought possible. The old limiting paradigms in the world are crumbling all around you now. We hope as you enter the New Year, you see yourselves as we see you now…full of grace, divine love, great intelligence and always powerful beyond measure.